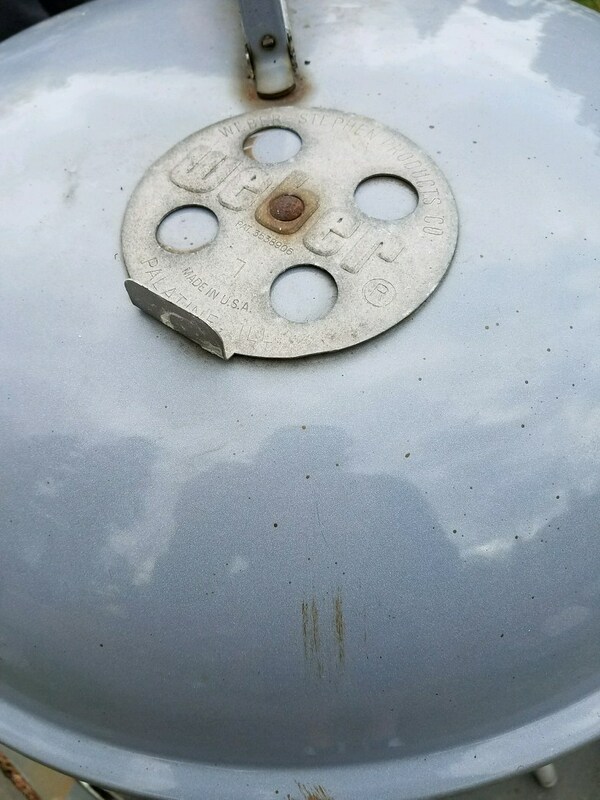 My friend Al (@Azogas) from the Weber Kettle Club acted as an agent for me in procuring this rare Grey Weber One Touch Plus. With some parts from Foster’s Grill Store I’m going all in on a full restore. Stay tuned. Fellow Northeast Weber Kettle Club friend @Azogas agreed to agent this grill for me in Upstate NY. I’m going all in on the restore and will make it my daily driver at the dock. She’s gorgeous don’t you think? There is a little surface rust that I’m confident will come off. needs a new triangle, wheels, handles for sure. This will be a labor of love restoration. Take a good look at that bowl. I’ll make it shine with some elbow grease, steel wool and a razor scraper. It will be a couple of weeks before Al makes the trip to Gloucester from Upstate NY but I’ll keep you all posted on the restoration.